I hope you like these Stephen Covey quotes from my collection of quotes about life. We seek to emphasize those practical things that we have in common. A young sailor boy came to see me to-day. and tell me how much they have learned about navigation. break out of solitary confinement. Seek to understand others, and help them understand you. 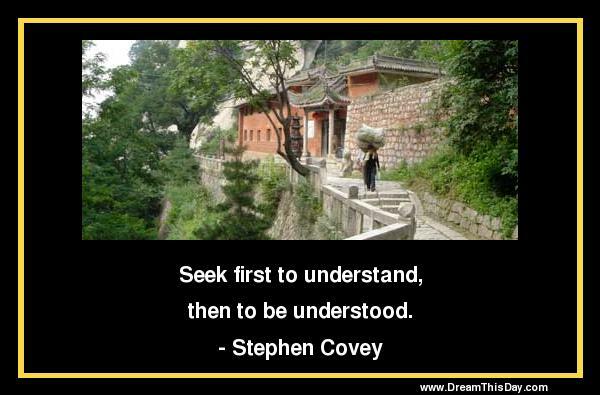 Thank you for visiting: Stephen Covey Quotes and Sayings - Quotes by Stephen Covey.